Tuesday’s Student Body Presidential debate featuring Eddie VanZandt (Lewis), Blake Ashley (Lewis), Koby Jackson (Churchill), Jennifer Ingraham (Queen Elizabeth I), and Josiah Simons (Bonhoeffer) marked the first major campaign event in the presidential race and one that many students hung their decisions upon. 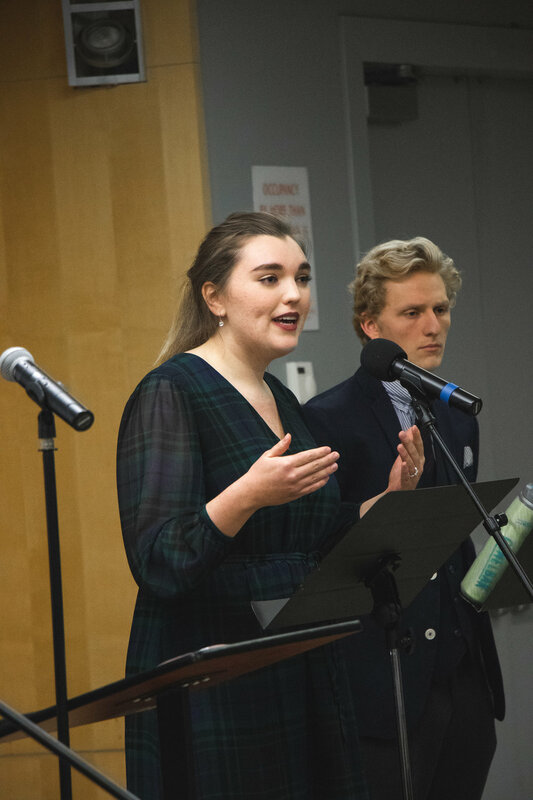 Moderated by Phillip Reeves and Ian Wilson, the debate featured questions on a variety of topics ranging from race relations and the restructuring of student organizations, to whether talking in the school library was an acceptable social behavior. 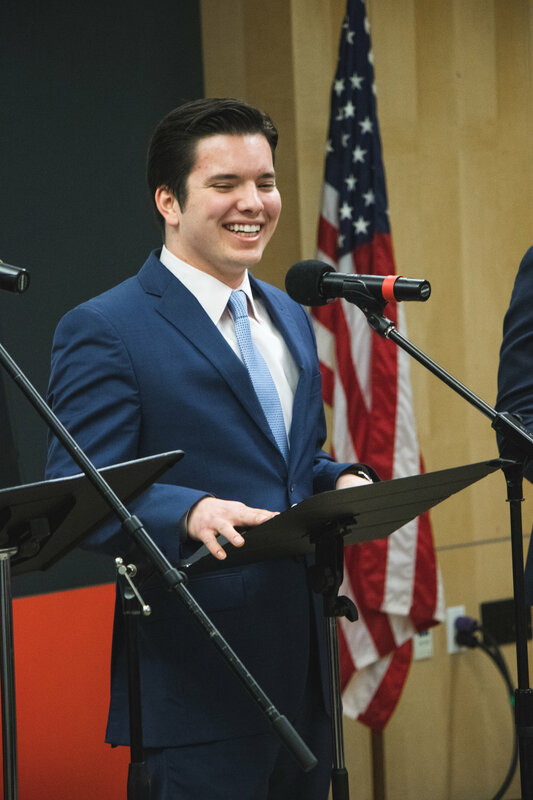 From the outset, each candidate sought to make clear their passion for the school and their desire to improve and fine tune the functions of the student body. In his opening statement, VanZandt leaned into his record as an experienced and well-versed leader at the school. Ashley and Ingraham sparred early in the debate in response to a question about reforming the structure of the council. Ashley suggested a slight change to the status quo by giving student organizations a bigger platform. “I’d like to see the Director of Student Organizations help foster a community of voices heard from the student orgs” Ashley said. But later down the line Ingraham implied that she didn’t see things the same way. “To Blake’s points,” Ingraham said, “I personally—from being org president this year of The Click—met with [the Director of Student Organizations,] Anna Woods and she asked me what was going on...and was there anything that I wanted to be represented on the council? I felt very supported by the council,” she added. Ashley responded briefly by noting his involvement in the formation of the John Quincy Adams Society and while he made clear that he didn’t fault the council directly, he said that “the expectations and structure in place at the time made me feel like there was not the ample amount of communication that I would expect. And then” Ashley added, “we turned around and got a $125 budget per semester and that was devastating.” He concluded by saying that he wished they’d been given an opportunity to have more insight into why and how that surprising decision was made. On a more lighthearted note—but one still emblematic of a candidate’s view of school culture—the candidates were asked whether they thought a quiet library or more spaces to congregate on campus was more important. 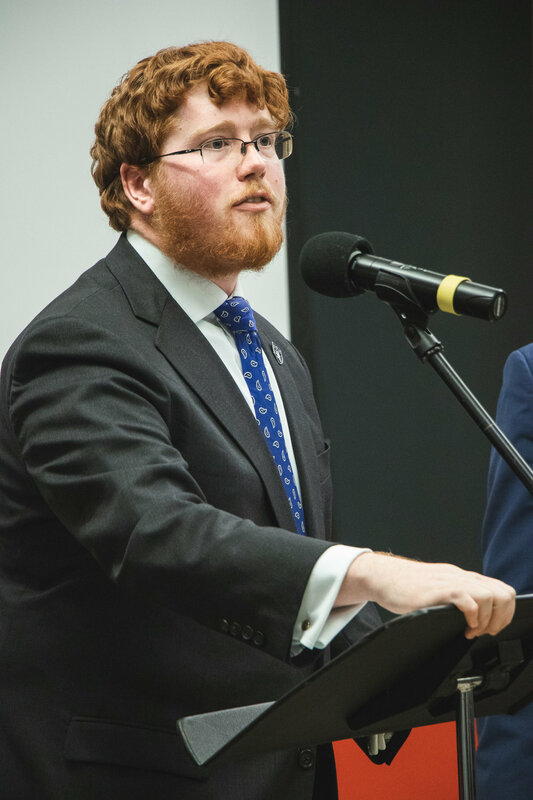 While most of the candidates agreed that the idea of the library serving as a social hub was harmless, Simons diverged from the others by emphasizing the importance of maintaining serenity in the library. He noted the existence of the Lion’s Den, the Student Union, and other places to congregate on campus. Service is a key point of emphasis for Jackson who is running on a platform of reinstating a house service competition. The candidates will be on the campaign trail for the duration of the week taking part in further events including their own Q&A sessions, an official SBP bonanza, and culminating with their final speeches early next week. Voting will begin at 1:00 p.m. on Monday.